Panel discussion about Nordic choir music at Trintatis Sognegård right behind Trintatis Kirke. - Does a special Nordic choir style exist? If yes, what is it's characteristics? - Is there a particular interest in the Nordic countries in cultivating alternative concert formats / forms of communication? - How is contemporary music for voices in the Nordic countries? - - How to deal with local linguistic traditions; can music still be international? 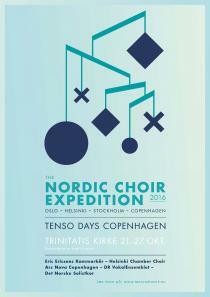 - What impact has the professional Nordic ensembles on other parts of choral life? The discussion will be in English - Free entrance!